Happy Valentines Day! How about seeing some dance to celebrate? In just two weeks, February 27 and 28, DanceHouse will have the pleasure of hosting Compagnie Marie Chouniard, with two works. 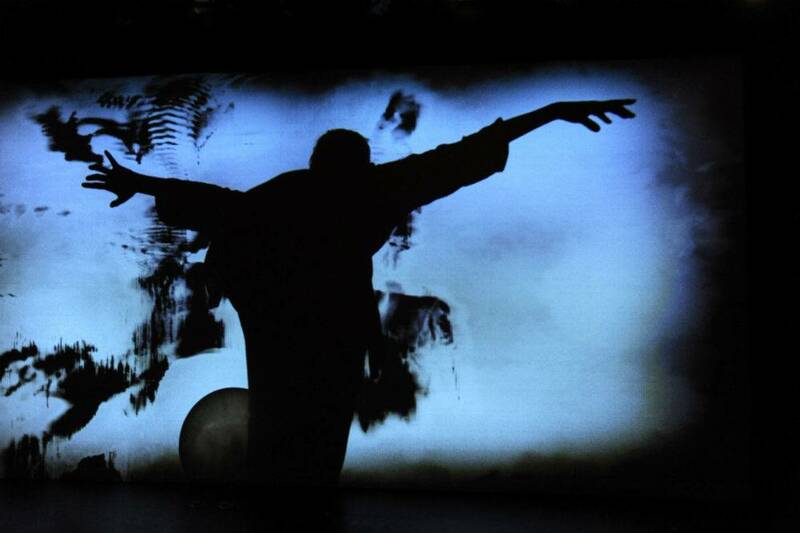 Last week we took a look at Gymnopédies and this week we will check out the second piece, Henri Michaux: Mouvements. Take a look at a video here. In 1980, Marie Chouinard discovered the book Mouvements by Henri Michaux (1899-1984). In 64 pages of India-ink drawings, a 15-page poem and an afterword, Mouvements presents multiform figures that Marie Chouinard took pleasure in reading literally, left to right and page by page, as a choreographic score. She then proceeded to decrypt the great artist’s drawings and set dance to these “movements of multiple inkjets, a celebration of blots, arms moving up and down the scales.” The book’s transition to dance has been done “word for word”, for even the poem in the middle of the book, as well as its afterword, are included in the choreography. The drawings are projected in the background, allowing spectators to do a simultaneous personal reading of the Michaux score. Echoing the visual presentation of a white page with black drawings, performers dressed in black dance on a white floor. This should be really interesting to check out next Wednesday February 18. Migrant Bodies is a two-year research project created through a partnership between The Dance Centre (Vancouver), Circuit-Est centre chorégraphique (Montreal), Comune di Bassano del Grappa (Italy), The Croatian Institute for Movement and Dance (Croatia), and La Briqueterie – Centre de développement chorégraphique du Val-de-Marne (France). Migrant Bodies aims to use artistic and cultural tools to open up a civil reflection on migration in European and Canadian societies. ~ by DanceHouse on February 13, 2015.